Flier of information for Professor Inouye's new language class. 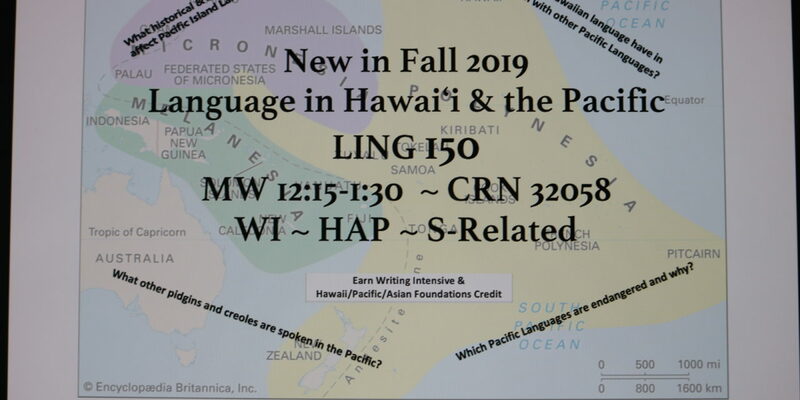 The flier mentions how pidgin, endangered Pacific languages, the connection Hawaiian has with other languages, and other topics will be discussed in the new LING 150 class (Photo by Sam Ehrhart). KCC will offer multiple new classes for students in the Fall 2019 semester. The new classes taught on campus will be a humanities class, a language class, a music class, an ethics class, an online history class, a data analytics classes, and a new Environmental Sustainability Certificate. These new classes will be taught by professors already present on KCC’s campus. Monday April 8 – Students with 36+ completed credits and special groups. Tuesday April 9 – Students with 24+ completed credits. Wednesday April 10 – Students with 18+ completed credits. Thursday April 11 – Students with 6+ completed credits. Friday April 12 – Registration is opened for everyone. LING 150 will be a language class taught by Professor Susan Inouye. She has been teaching at KCC for 28 years and she obtained her Master’s and PhD in Linguistics from UCLA. 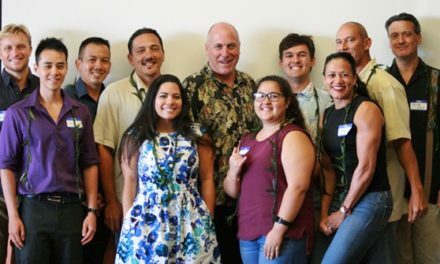 The class will circulate around Pacific languages that are spoken in the Polynesian, Micronesian, and Melanesian islands. This class will cover what these languages sound and look like along with the languages’ endangerment of dying out, pidgin and creole dialects associated with them, and social and economic relationships that affect the languages. 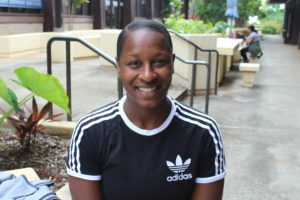 Students who take this class will be exposed to languages which are similar to Native Hawaiian. The languages are also spoken around our island community, so students will become more informed about Pacific languages. This class will also check off two writing requirements– Writing Intensive and Hawaiian/Pacific/Asian focus. Flier of Professor Yang’s new music class. The class will cover music used throughout Asia and Oceania. (Photo by Sam Ehrhart). 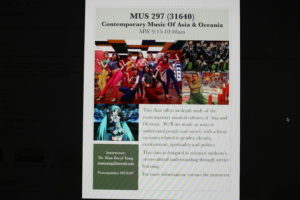 MUS 297 covers contemporary music from the Asia and Oceania region. This class is designed for students who are curious about the world, love to travel, and are curious about new experiences. The class will be taught by Professor Man Yang, who has a PhD in music and has been teaching at KCC since 2011. ITS 149 is a new data analytics class that will be offered on campus this fall. Students in this class will learn about data science and the career opportunities associated with it. The class will be taught by Professor Dale Nakasone. Nakasone has been a teacher at KCC since 2005. He has a master’s degree in Educational Technology from UH Mānoa. ITS 149R introduces information technology students to the emerging field of data analytics, which includes statistics, computing, and domain expertise. Students will gain an overview of the field, and they will learn some of the basic concepts, principles, and tools used in data analytics. This will cover data pre-processing, data analysis, and the use of scripting languages to query relevant data. The course will also briefly touch upon most of the core subjects that will be studied more in-depth in courses that students will take later in the Database Analytics Certificate of Competence program. A new humanities course will be available for students in the Fall 2019 semester. The class will be taught by Professor Julie Rancilio. Topics in the class will include: how to make great goals for yourself, how to work on a team, how to create positive philosophies, how to make difficult decisions, how to fix conflicts, how to empower other people, and how to communicate with others efficiently. KCC is offering a new academic certificate in Environmental Sustainability. This new certificate will give students the equivalent of a minor in sustainability while they meet their general education requirements. Professor Wendy Kuntz is the coordinator and one of the instructors in this program. “The goal of the ASC in Sustainability is to provide students with a strong foundation in the topics, issues, and language of sustainability,” Kuntz said. 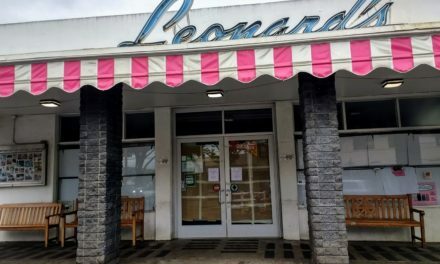 “The certificate is a forum for students to connect, collaborate, and share their ideas and solutions for a sustainable future for Hawai‘i and the planet”. Students who are involved in this program will have the option of taking classes such as botany and ecology. Other classes in this program will have have the topic of sustainability centered around them. 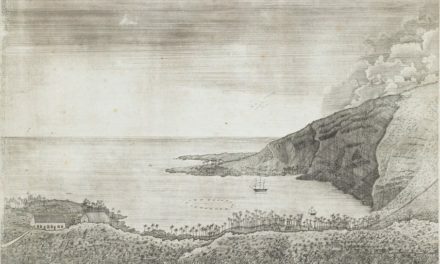 A new class will be offered to students in the Fall semester which will study the people and history of Hawaiʻi. 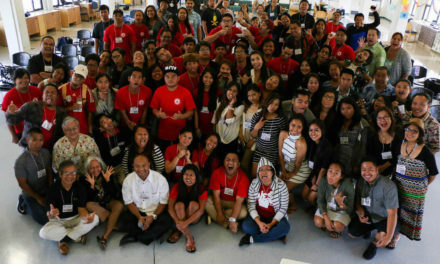 The class will cover Polynesian communities, Native Hawaiian resistance to outsiders, Asians migrating to the islands, and an idea of what “race” and “ethnicity” truly means. ES 101 will fulfill a student’s requirement for a WI, HAP, and DS class and can be counted as a sustainability class. There will be no textbook used in this class. This new class will be taught by Professor Kelli Nakamura. For the first time ever, HIST 281 – United States History I will be offered as an online class for students in the fall semester. 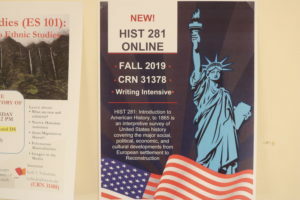 HIST 281 will count as a writing intensive class for student’s requirement to graduate. The class will be taught by Professor Kelli Nakamura. HIST 281 will cover U.S. history from the era of Native American’s to the end of the Civil War. Topics covered in this class will be Native American tribes, colonial America, the Revolutionary War, War of 1812, Manifest Destiny, the Mexican-American War, slavery, and the conflicts between the Union and Confederate states. This course will also cover American politics, economics, cultural differences, and social characteristics between geographic areas and groups of people during the early days of America.